Just a few moments ago during today’s question period, Prime Minister Stephen Harper, in his trademark condescending tone, danced around the question as to whether or not Canada’s military role in Afghanistan will be extended beyond 2014. When it comes to the ongoing war in Afghanistan, the United States is doing the wrong thing. At least, they are according to more than 2/3rds of all Americans. 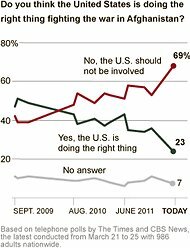 A recent New York Times/CBS News poll shows disillusionment about the decade long quagmire has reached an all time high, with more and more people demanding the withdrawal come soon than later. This poll adds to the growing body of dissenters who’ve had a change of heart, saying the war in Afghanistan is lost and needs to be abandoned ASAP. Now, if these same people were to stand up the next time the US tries to invade some other poor country, then we’d be getting somewhere. 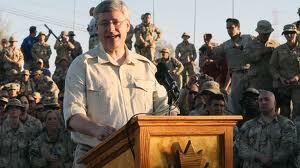 “No amount of troops, training or money will result in a stable Afghanistan. 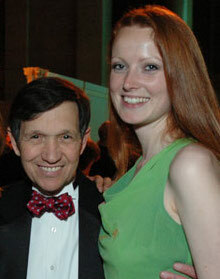 It is time to bring the troops home now,” writes Congressman Dennis J. Kucinich in a statement released today. Here we go. Yet another voice confirming the war in Afghanistan has failed. Really, it was doomed from the get-go. Democracy cannot be installed by outside forces, lasting peace will never be found through violence, and the only thing a foreign military usually liberates is the people’s natural resources. Let us learn from our mistakes and be sure not to repeat them. We have no room for war in our world, nor do we have the need. Earlier this month, a leaked military report revealed just how ineffectual the invasion in Afghanistan has been. 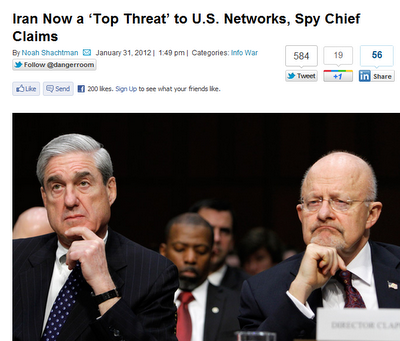 Now, another classified document – this time an 80 page report penned by US Lt. Colonel Daniel L. Davis – has surfaced to confirm the Afghan military excursion shows an “absence of success” on almost all levels. In other words, it is another senseless and tragic waste of lives and treasure. So does that mean that all those brave men and women sacrificed their lives in vain? Yes, although it will offer no comfort to the loved ones left behind, that’s pretty much what is being said. Then why even say it, one may ask. Simple: to learn from the mistake. Major armed conflicts have no place in today’s world. For one, they don’t serve any purpose, other than destabilizing entire regions and lining the pockets of the war-profiteers. Second, there’s no one left to fight – no one that can be fought with armies and tanks and bombs, anyway. If we want to live in a safer world, we must exercise alternatives to war, since the armed invasion route clearly does not work. Members of the Icelandic Parliament have nominated Private First Class Bradley Manning for the 2012 Nobel Peace Prize. If there’s any sense of justice left in the Nobel Committee, he’ll win. 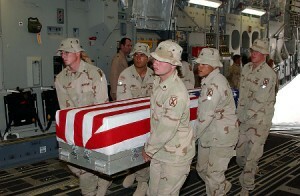 Bradley Manning is accused of leaking a video showing the killing of civilians by a US Apache helicopter crew in Iraq. As well, he is charged with sharing the documents known as the Afghan War Diary, the Iraq War Logs, and embarrassing US diplomatic cables, all of which Manning leaked to the champions of transparency: Wikileaks. 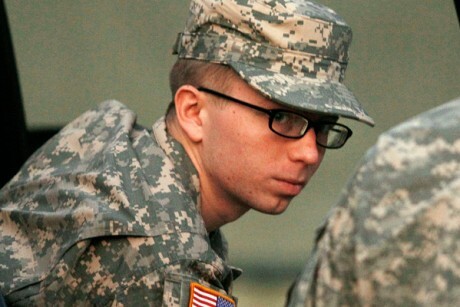 Since his arrest in May 2010, Manning has been held in military prison without trial. In 2009, President Obama won the Nobel Peace Prize “for his extraordinary efforts to strengthen international diplomacy and cooperation between peoples.” Since then, Obama has increased military spending, expanded US-led war into several new countries, and has furthered the continued erosion of precious civil liberties. If Pfc Manning doesn’t take the Nobel this year, maybe the Committee should strip Obama of his award and instead bestow the 2009 honors on a more deserving peace-builder. To keep Iran from becoming another of the West’s disastrously failed military endeavors, like Iraq, Afghanistan and Libya, it is imperative that we beat the drumbeats of peace louder than the drumbeats of war. Notice the theme? Iran is the world’s worst country, by far, creating a threat that grows in severity for every instant we delay full-scale armed invasion. These are the drumbeats of war, readying the public for what they want us to believe is inevitable. Yet war with Iran can be avoided, especially if the pro-peace side is able to mount the pressure needed to rival those forces driving us to war. Sure, we are up against the multi-billion dollar industries which profit off of prolonged bloodshed. But when we number in the tens of millions, a handful of businesses – no matter how powerful they seem – will be no match for the strength of our solidarity. It’s been more than 11 long, bloody years, since the military industrial complex waged a so-called ‘war on terror’ in the Middle East. Yet, according to a classified document from the US Military, the Taliban and their Pakistani backers remain ‘poised to retake Afghanistan’ as soon as foreign troops withdraw. 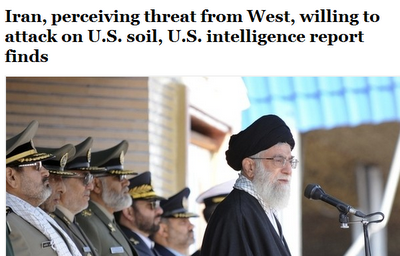 Well, this is to be expected, given the US’s track record of failed military endeavors. In Iraq, death tolls have been rising dramatically since American troops pulled out, sparking concerns about a resurgence by Al Qaeda. As for Libya, a UN report confirms two terrorist networks were significantly bolstered by the US-led bombing campaign. For the sake of every life senselessly cut short, and for all of the precious treasure we’ve squandered, let us at least learn something from this: wars do not create peace and democracies cannot be built with bullets. Unless we just want to keep lining the pockets of war-profiteers while reinforcing anti-West sentiment amongst radicals, we’d do well to retire the failed formula of a predominantly militarized approach. Instead, we could look to methods that might actually work, like building up impoverished communities around the world so that they themselves can tackle the problem of extremism from within. Makes sense, right? Goes to show what could happen if someone other than the gun-toting looneys gets to call the shots. 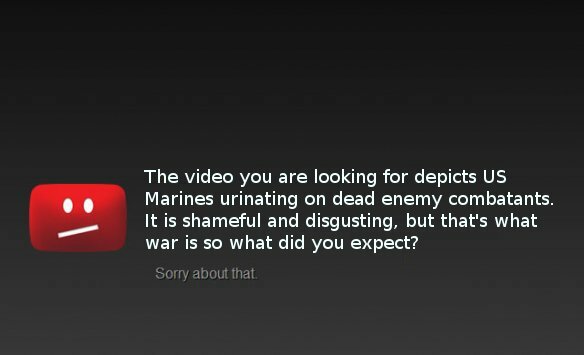 Video has surfaced showing four marines urinating on what has been reported to be dead Afghan militants. Vile, disgusting, illegal, unnecessary and downright idiotic are just a few of the ways to describe these acts. How did this happen? A bunch of gun-toting, war-happy dudes thought it would be a good idea to do something each of them individually knew was wrong. But not a single one of them spoke up, so they ended up following through with what turned out to be a huge mistake. What an apt comparison for the entire Afghanistan invasion! US Military brass (and other high level officials) decided it would be a good idea to start a war with the criminal gangs of a severely impoverished nation. And no one spoke out – at least not loud enough to be heard – so here we are 10 years later and American atrocities continue to fall upon the Afghan people. Curious, though. Why does urine on dead people spark more outrage than bullets and shrapnel in dead people? This week Adam Lowther shared a piece entitled ‘Five Reasons Not to Attack Iran‘, focusing on how unilateral invasion would be strategically difficult given the US’s exhausted military and Iran’s legitimate military and intelligence capabilities. One – It Costs Too Much. The wars in Iraq, Afghanistan and elsewhere have cost American taxpayers close to 1.3 trillion dollars. For a nation struggling with poverty and unemployment, this fortune could have helped out a lot of people back home. On top of this, hundreds of thousands of lives were snuffed out, and millions more had to flee their homes. The costs, in terms of human suffering, are incalculable. 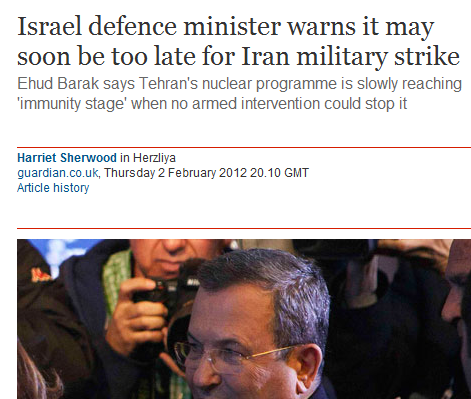 All the more reason to avoid war with Iran for as long as other options exist. Two – War Breeds Extremism. The chaos and disruption caused by prolonged conflict benefits no one more than violent, radical ideologues. Destabilizing Iran will only fuel more anti-Western sentiment, and this serves no one’s interests (except maybe for the Defense Industry itself). Three – Iranians are Just Like Us. Underneath superficial differences, like culture, language and religion, the majority of Iranians are regular people. They share similar hopes, dreams and fears, and, just like us, most of them simply want to raise their families in a secure environment. Rather than bombing and killing Iranians, we can help by empowering their communities so that the Iranian people can eliminate extremism from within. Four – It Doesn’t Work. There’s no proof that America is any safer now than 10 years ago. The populations of Iraq, Afghanistan (and the other US-bomb riddled nations) certainly are no better off. Unless you are a shareholder in a corporation that either profits from a lengthy armed conflict or gets to divvy up the conquered assets, then war has not and will not help you out at all. Five – We Should be Done with War. We aren’t cavemen chucking spears anymore. It’s the 21st century. Engaging in armed conflict with Iran, like with all wars, would inevitably cause humankind to hurt itself. We are supposed to be an advanced species, so let’s start acting like one. Don’t wait until our Armed Forces get stuck in another decades long quagmire with no practical exit strategy. Let your voice be heard right now. Say no to war with Iran!